Fly fishing took a shine to Oliver White in his youth and has been with him ever since. It rehabbed his broken body after a devastating ski accident, and carried him around the world to many of the sport’s legendary fisheries and some new ones. It has introduced him to an array of characters –from celebrities and CEOs, including Bill Ackman who brought him into his Wall Street firm for a two-year crash course in financial markets, negotiations and structuring deals. Ultimately, fly fishing called him away from the New York life back to the one he was born for: Creating experiences for others who crave, for a few days at least, the wonder of pursuing gamefish in unspoiled beauty and the camaraderie those pursuits engender. 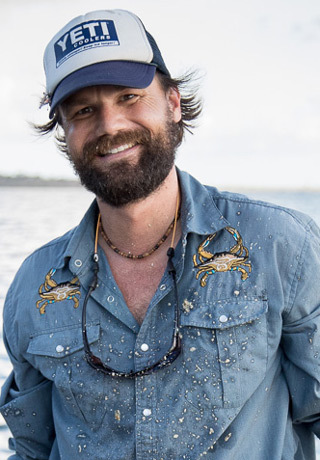 Fly fishing has been Oliver’s life and it became his business — lodges in the Bahamas, small-group adventures around the world, trade show appearances, writer and columnist, films and television he gets out there and does it all. Now his focus is moving towards conservation and protecting the places he loves. Indifly — a non-profit he helped establish — hopes be the salvation for indigenous people who want to protect their pristine homelands from exploitation and ruin. Fly fishing took a shine to Oliver White in his youth and has been with him ever since. It rehabbed his broken body after a devastating ski accident, and carried him around the world to many of the sport’s legendary fisheries and some new ones. It has introduced him to an array of characters –from celebrities and CEOs, including Bill Ackman who brought him into his Wall Street firm for a two-year crash course in financial markets, negotiations and structuring deals. Ultimately, fly fishing called him away from the New York life back to the one he was born for: Creating experiences for others who crave, for a few days at least, the wonder of pursuing gamefish in unspoiled beauty and the camaraderie those pursuits engender. Fly fishing has been Oliver’s life and it became his business — lodges in the Bahamas, small-group adventures around the world, trade show appearances, writer and columnist, films and television he gets out there and does it all. Now his focus is moving towards conservation and protecting the places he loves. Indifly — a non-profit he helped establish — hopes to be the salvation for indigenous people who want to protect their pristine homelands from exploitation and ruin.